It's common for tech executives to feel like the "clock is ticking" on their important projects, but for Ann Dunkin, that tick is literal. As CIO of the U.S. Environmental Protection Agency (EPA), Dunkin is a political appointee. With her term up in November, Dunkin says she has wholeheartedly adopted the Obama administration's recommendation to "sprint to the finish." 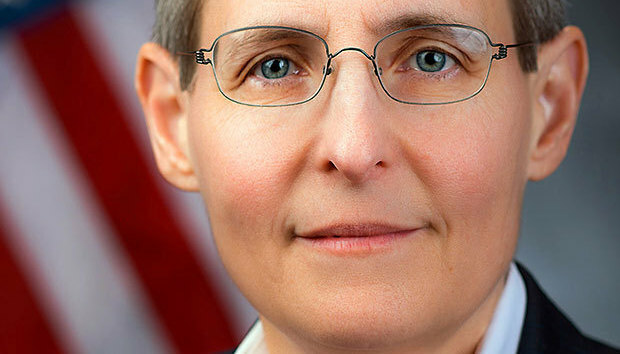 The project that Dunkin, 49, hopes will serve as her legacy is E-Enterprise for the Environment, an ambitious plan to transform the way the EPA interacts with states, tribes and regulated industries. "The EPA co-regulates with states and tribes. If there's an environmental law, it could be enforced on the state, tribe or federal level," Dunkin explains. By streamlining business processes among those organizations, E-Enterprise aims to advance environmental outcomes while improving services to the regulated community. Toward that end, an E-Enterprise portal will serve as a one-stop shop where organizations can enter data just once and easily share it among myriad overlapping regulating entities. The ultimate goal: "Cleaner air, water and land, and safer chemicals, at a lower cost," she says. With the portal in the early stages of usability, the project won't be finished by the time she leaves office, but Dunkin is unfazed. "My CTO and I have put processes in place that reinforce the new outcomes we want," she says. "Once they take hold, I don't have to be there."